The phrase "flavored water" might make a beverage seem appealing or healthy, but ingredients vary widely from brand to brand. 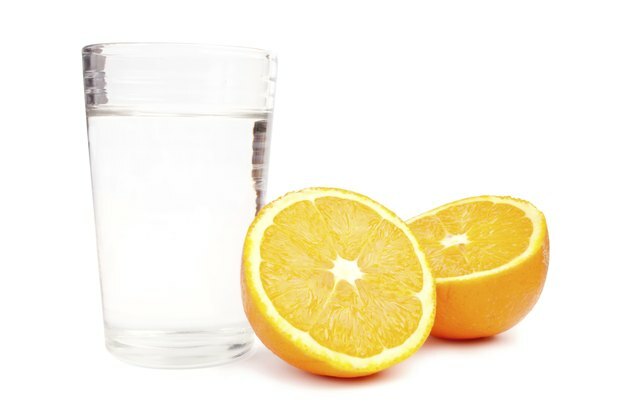 Zero- or low-calorie naturally flavored waters that are fortified with vitamins and minerals might be an effective way to hydrate yourself and obtain nutrients, but if they also contain unhealthy ingredients, it may be better to choose plain water or other more nutritious beverages. The healthfulness of flavored water depends heavily on the types and amounts of ingredients it contains. Flavored waters vary, but most consist of water, natural or artificial flavorings, and sugar or artificial sweeteners. Some also contain caffeine or added nutrients, such as vitamin C. Read the nutrition labels carefully to determine the ingredients of individual brands. If you are choosing flavored water to replace a high-calorie, sugary beverage, then it may be the healthier choice. Sodas, for example, typically contain many calories due to their high sugar content. But some flavored waters also contain sugar and associated calories, so you must read the product label closely to determine if a particular brand is an effective low-calorie option. If the flavored water is replacing a nutritious drink, then it is a relatively unhealthy choice. Skim milk, for example, provides calcium and vitamin D, both of which are important for bone health. And fruit juices contain vitamin C and other healthy nutrients. Note that fruit juices that contain added sugars might have just as many calories as sugary flavored water, so choose a low- or no-sugar fruit juice. The U.S. Food and Drug Administration regulates the use and monitors the safety of artificial ingredients in beverages and foods, so you're unlikely to experience any negative effects from these ingredients in flavored waters. However, artificial flavorings, colorings and preservatives don't increase the nutritive benefits of flavored water, so they don't make the drinks any healthier. Artificial sweeteners are also safe but non-nutritive. If you must choose a flavored water, an artificially sweetened brand will likely contain few or no calories, which will help you keep your calorie intake low. But if you'd rather not include artificial ingredients in your diet, avoid flavored waters that contain anything other than water and natural flavors. You can't go wrong with plain water. It has no calories and no additional ingredients, making it superior to flavored waters. A balanced diet and a daily multivitamin should meet your needs for vitamins, minerals and other nutrients, though discuss your needs with your doctor to be sure. If you choose flavored water, limit your intake of calories and maximize your intake of nutrients. Just don't be fooled by marketing slogans and hype, or you might end up with a brand of flavored water that is just as unhealthy as any other sugary beverage. Is Crystal Light Healthy to Drink?